Swami Vivekananda Ji was born into a Bangali Family of Calcutta on January 12, 1863. 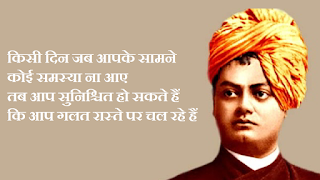 According to Gregorian Calendar each year Vivekananda Jayanti is celebrated on 12th day of January month. According to Hindu Calendar, Swami Ji was born on Saptami of Paush month in Krishan Paksha, and this year it was on January 8,2018. This we're going to celebrate 155th birthday of Swami Vivekananda Ji. 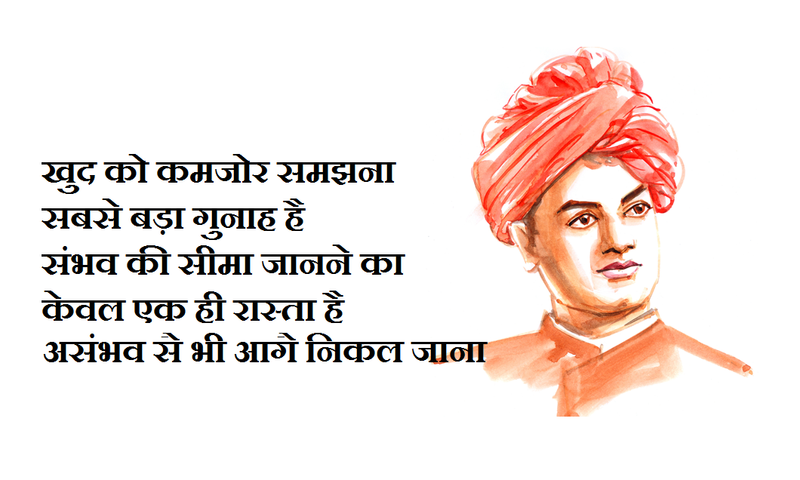 For this I have posted Motivation Swami Vivekananda Jayanti Quotes in Hindi, they were very positive towards life. I hope you'll enjoy these quotes for Swami Vivekananda Ji and don't forget to share them with your friends on Whatsapp and Facebook. 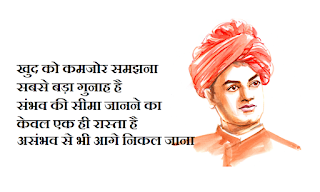 So these were popular motivational quotes by Vivekananda Ji for Happy Youth Day 2018 in Hindi, I hope you enjoyed them. Share with your friends and let them enjoy these beautiful quotes.